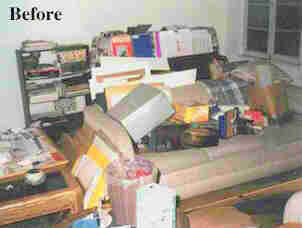 The Clutter Wizard, organizing homes and offices in Santa Clarita and Los Angeles...makes order from chaos. GARAGE out of control?........ FILES in disarray?...... 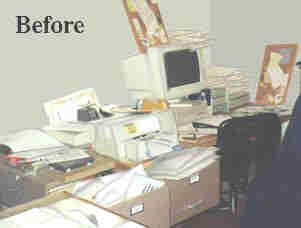 OFFICE too cluttered? PAPERS misplaced?................HOME a mess?.............DESKS overflowing? CLOSETS need revamping?.... TOYS everywhere?... BOOKS out of order? 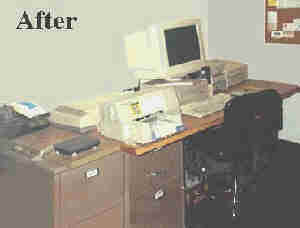 PHOTOS need sorting?........TOOLS need organizing? who creates order and manages all of the out-of-control places in your home and/or office. with a sense of humor. It's a confidential, painless and comfortable process." LISTEN TO A KHTS AM-1220, SANTA CLARITA INTERVIEW WITH BOB FARKAS, THE CLUTTER WIZARD, HERE! Home storage solutions, products and organizing tips. 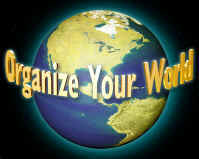 for organizing everything in your home and business. 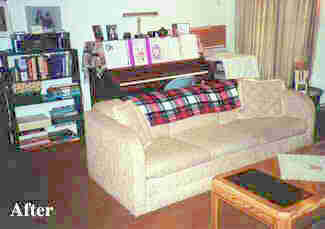 The Clutter Wizard is a top professional organizer in Southern California on FindMyOrganizer.com! THE CLUTTER WIZARD website designed and maintained by Bob Farkas. Copyright © Bob Farkas 2000-2014. All Rights Reserved. No portion of this website may be reproduced or redistributed without prior written consent and permission. All contents are under copyright protection.